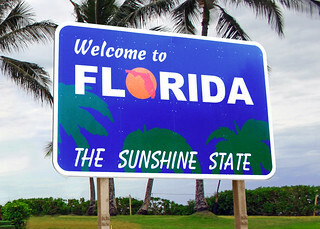 The source image for the Welcome to Florida The Sunshine State sign is a Creative Commons licensed photo from Joelk75's Flickr photostream. The sign was cropped, color enhanced and dimension was added. 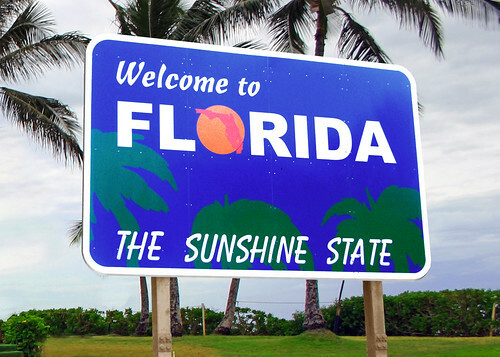 Sign was placed of scene of palm trees near ocean.